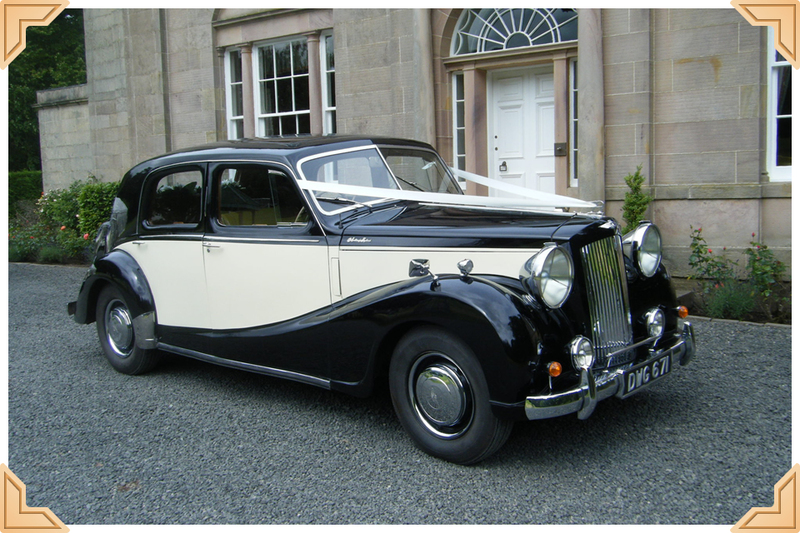 A wonderful example of its type and perfect as the bridal car. The black and cream colour combination together with the imposing chrome radiator, Lucas P100 headlamps and chrome bumpers make this Sheerline a real head-turner. The luxurious interior has leather seats and fitted carpets with mahogany door surrounds and walnut dash board. Guaranteed to add that special touch to your wedding day. Provides seating for up to four passengers.